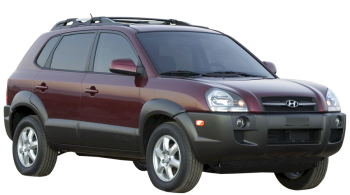 There was a new compact SUV model launched by Hyundai in 2005, which would probably be shared out the platform with Kia Sportage, namely as the Tucson. In the line-up of available models in Hyundai, Tucson just positioned below the Santa Fe. Because of the efficient and reliable compromise options available between space, comfort and price, this model was treated as the successful one around the world. When you go through the engines of this model, it was included with a 2.0 L4 engine capable of offering 5-speed manual transmission and a 2.7 V6 engine as available with an automatic gearbox. In the case of European markets, this model was equipped with a 2.0 diesel engine that would probably provide out 113 bhp. At the IAA Frankfurt in 2009, the second generation Tucson SUV model was presented and it came up with the new fluidic sculpture design language of Hyundai as premiered one. This car is now called as ix35 in European market. It promises out the users to improve functional area and every aspect of it over the first generation model. The new Tucson model was included with techy features such as friendly and pleasant interior along with sleek and muscular design as the best. The first panoramic sunroof of Hyundai was integrated with 2010 Tucson, which would come along with the front-or all-wheel drive in order to offer new 6-speed automatic transmission option. The engines powering out the new Hyundai ix35/Tucson are whole range of a 1.6L Turbo GDI, a 1.7L diesel, 2.4L Dual CVVT and 2.0L petrol.